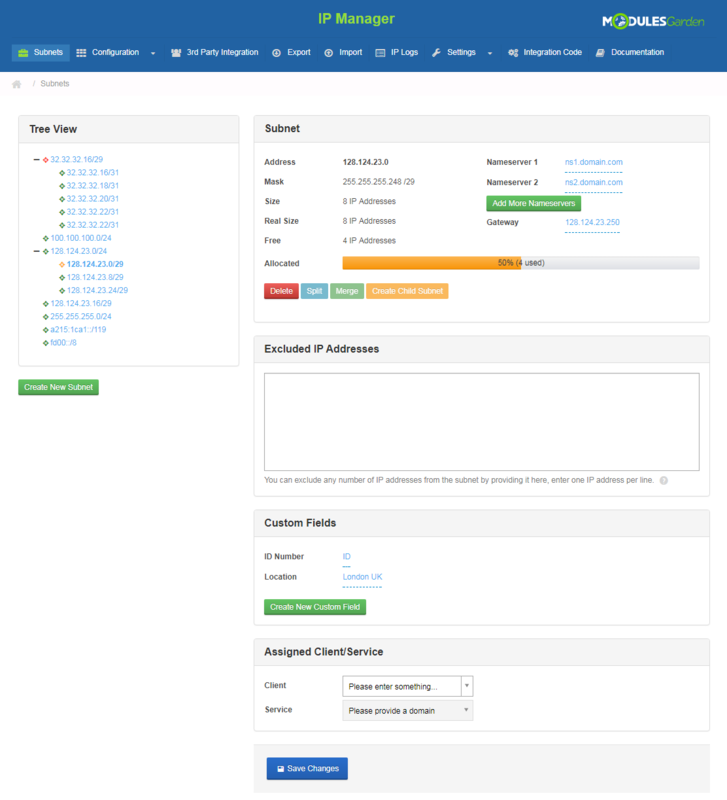 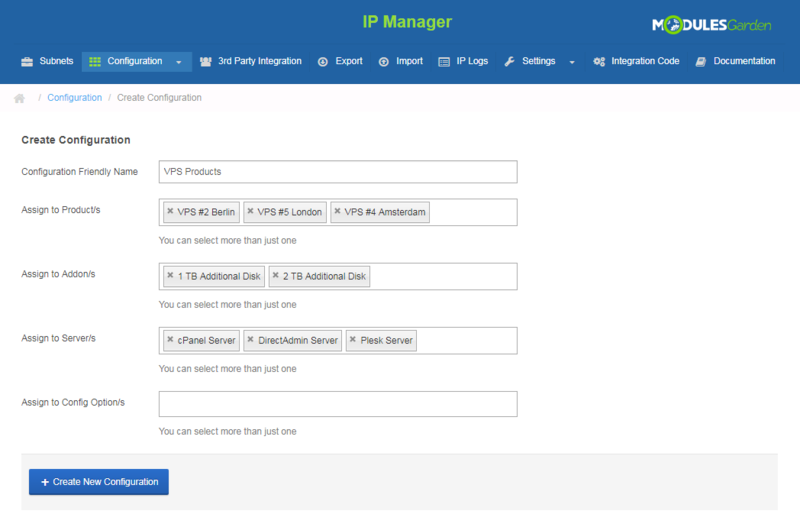 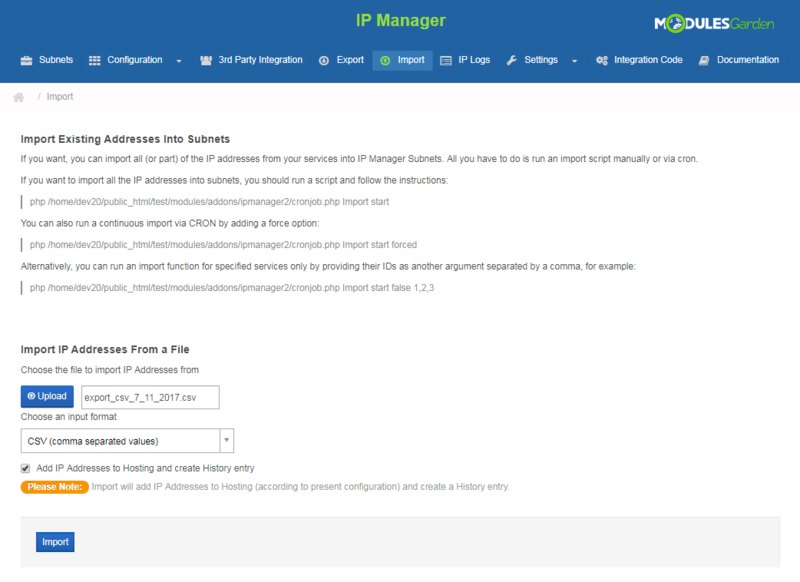 IP Manager For WHMCS will allow you to easily add and manage IP subnets as well as automatically assign IP addresses to your servers, products, addons and configurable options. 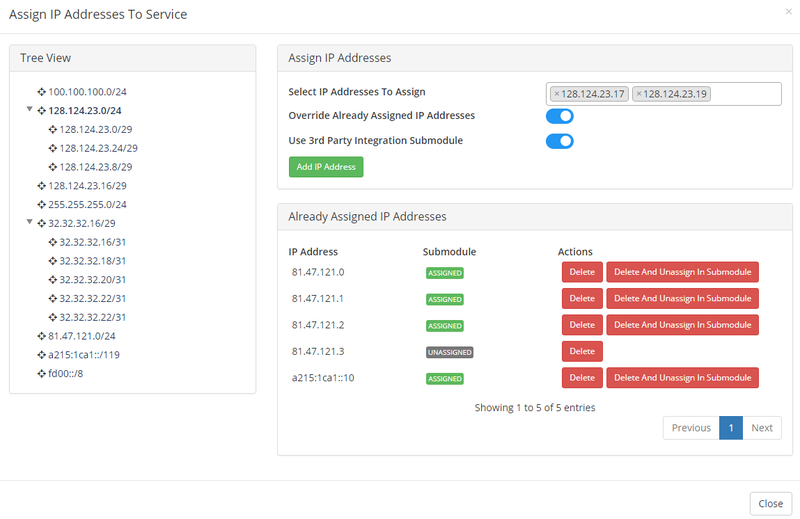 Along with it, you will gain the possibility to freely assign subnets to your customers, who will be afterwards enabled to order additional IP addresses from them in the client area. 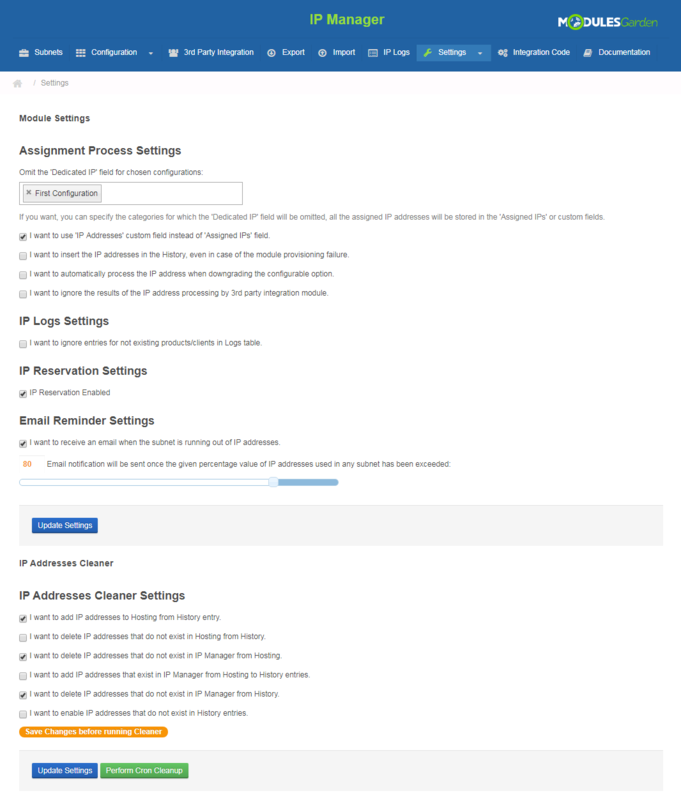 All these without even leaving your website! 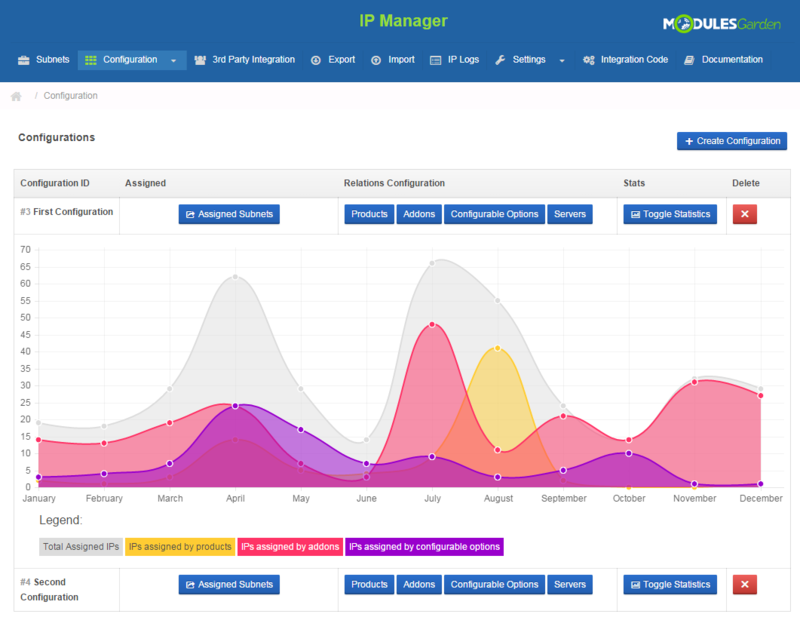 The module expands the spectrum of instruments dedicated to IP addresses assignment through the sound management of multi-level subnets. 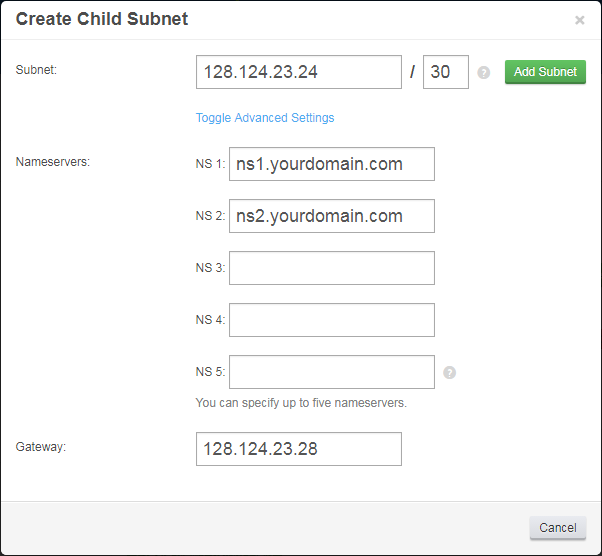 Under this process, you will be able to not only create various child subnets but also split, merge or delete subnets at your discretion. 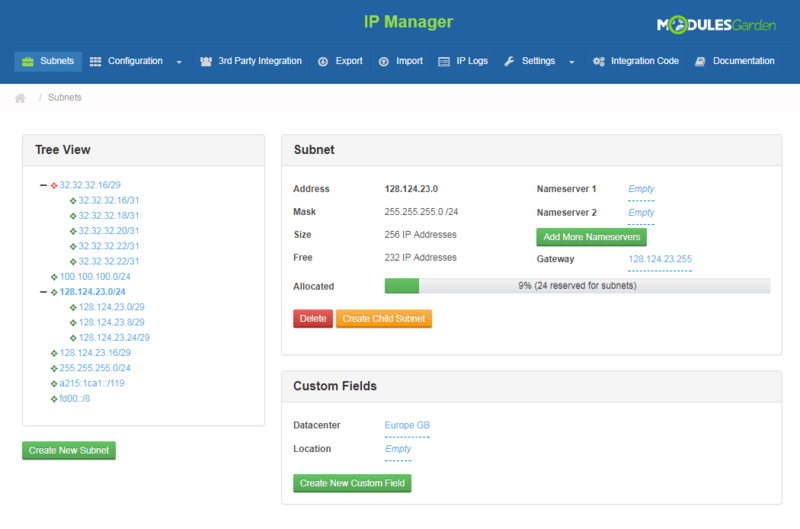 Moreover, you will be permitted to import/export IP subnets, reserve IP addresses as well as view exact statistics about subnets usage on clear-cut graphs. 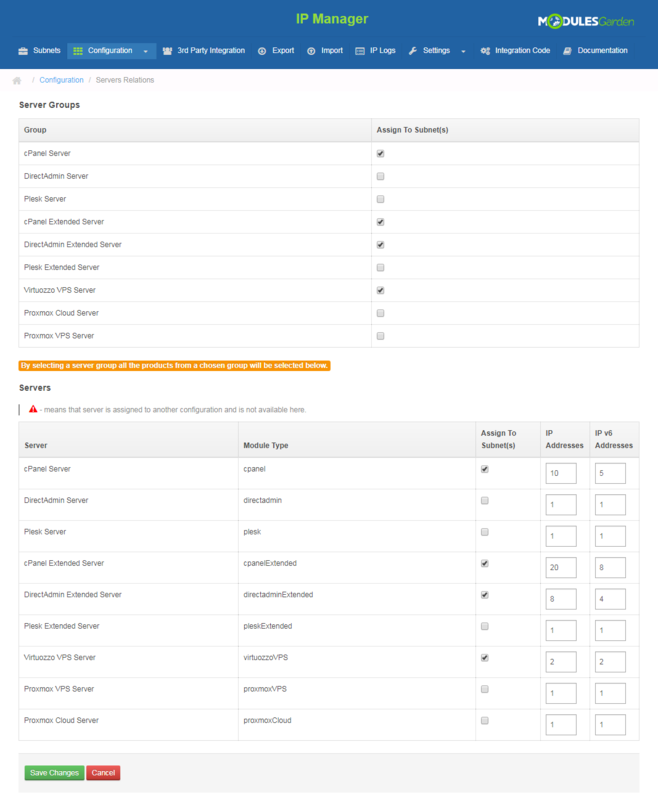 And that is still not everything! 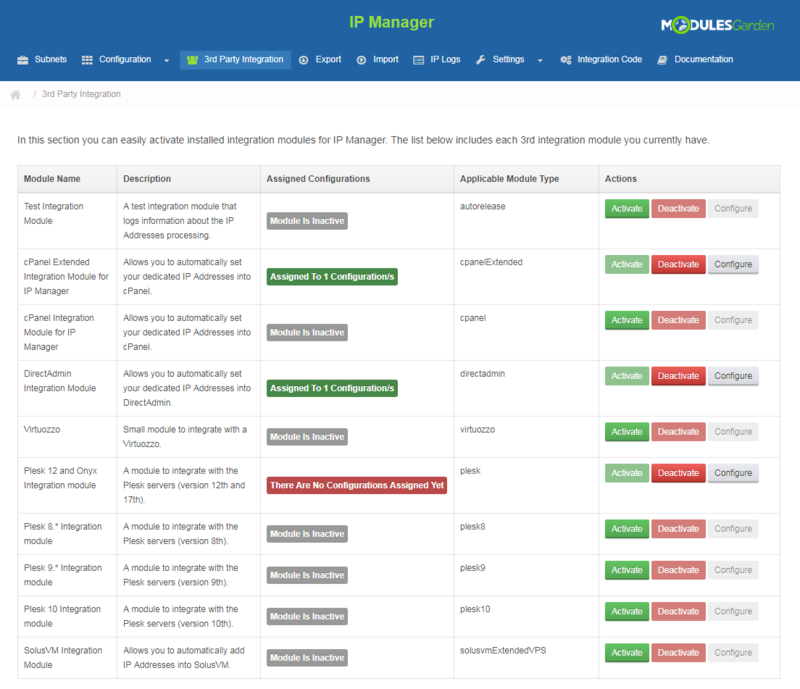 You will be empowered to integrate with 3rd party applications like cPanel, Plesk, DirectAdmin, Proxmox or SolusVM. 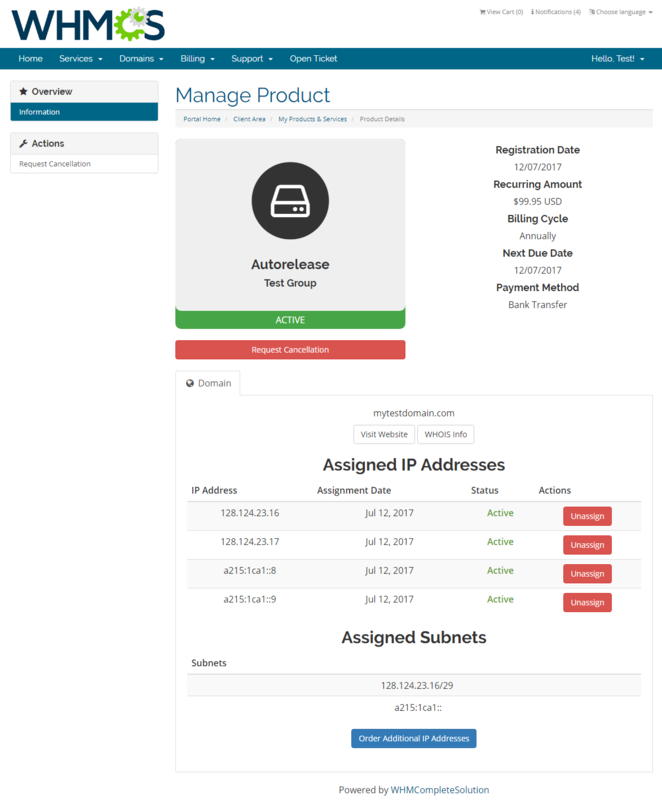 The module is a perfect tool for everyone who wants to fully automate the handling and assignment of IP subnets directly in WHMCS. 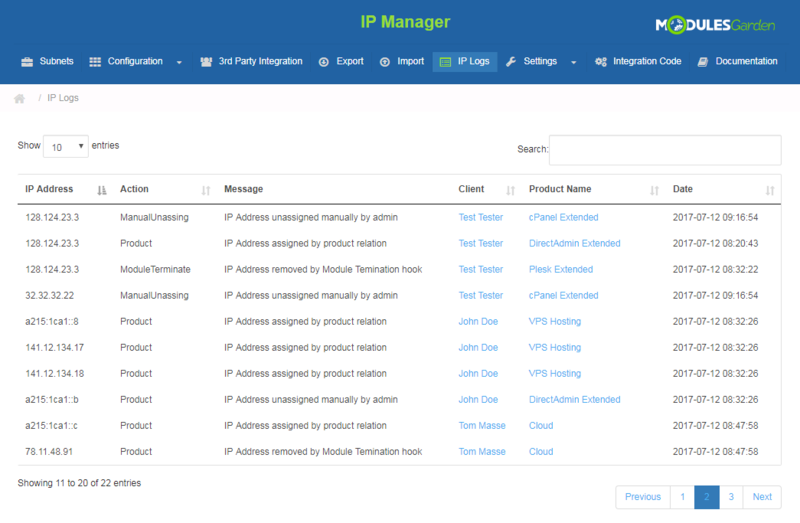 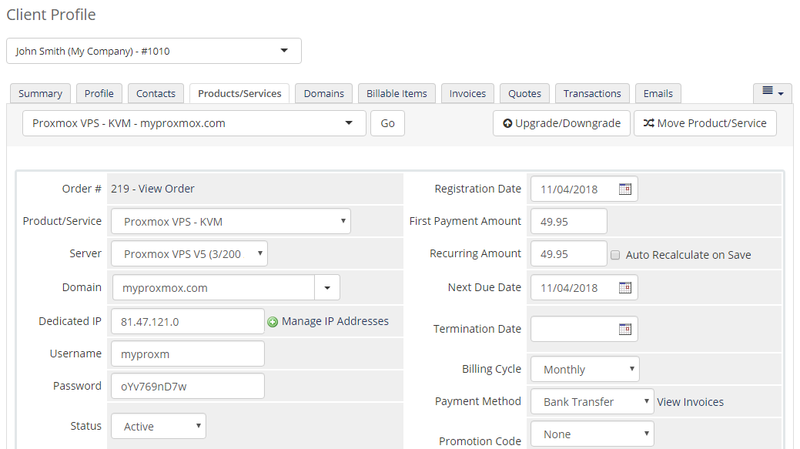 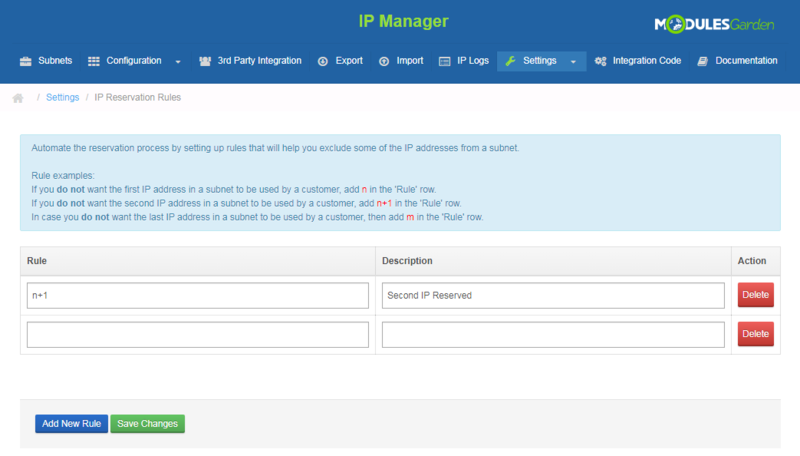 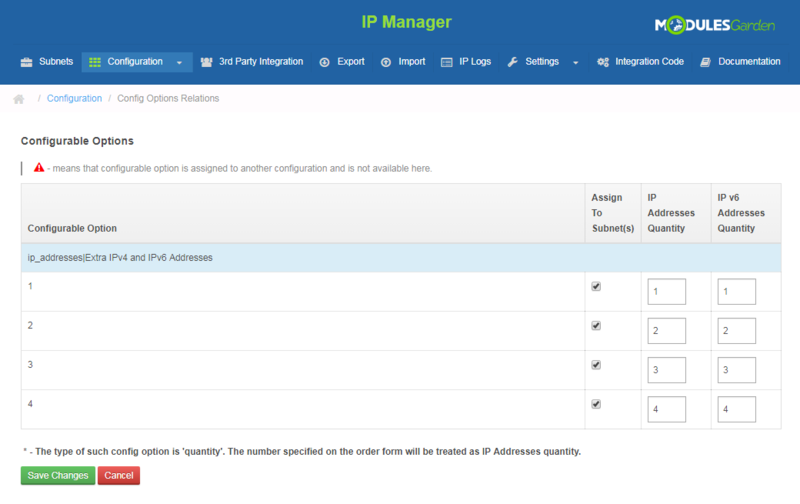 Make your daily work much easier and save your valuable business time - order IP Manager For WHMCS! 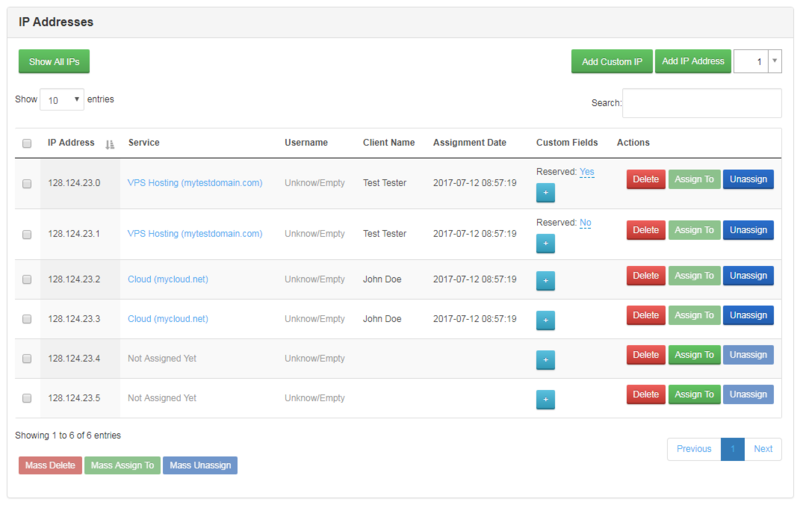 Added new fields into the creating pool form, useful during the integration process. 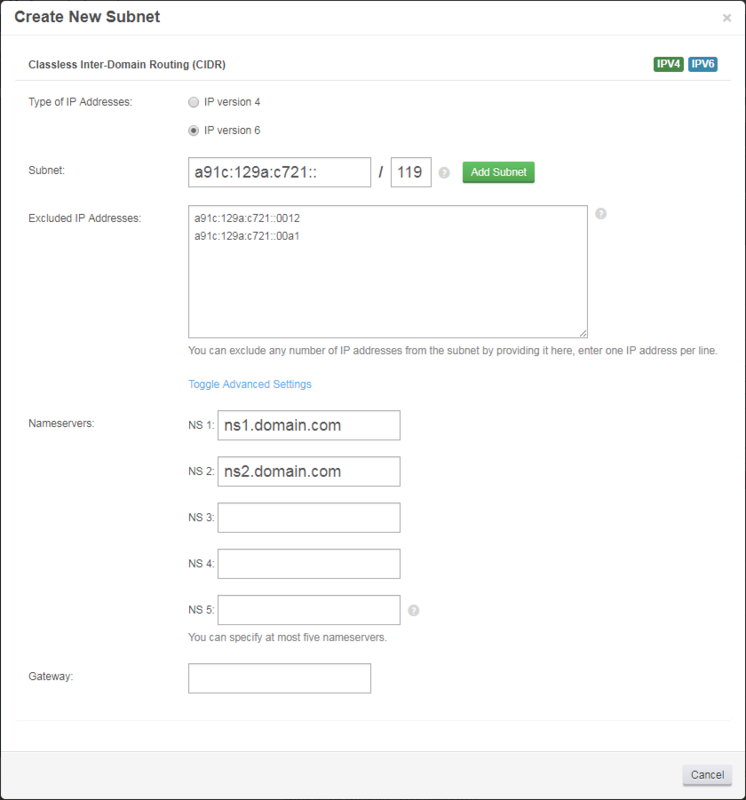 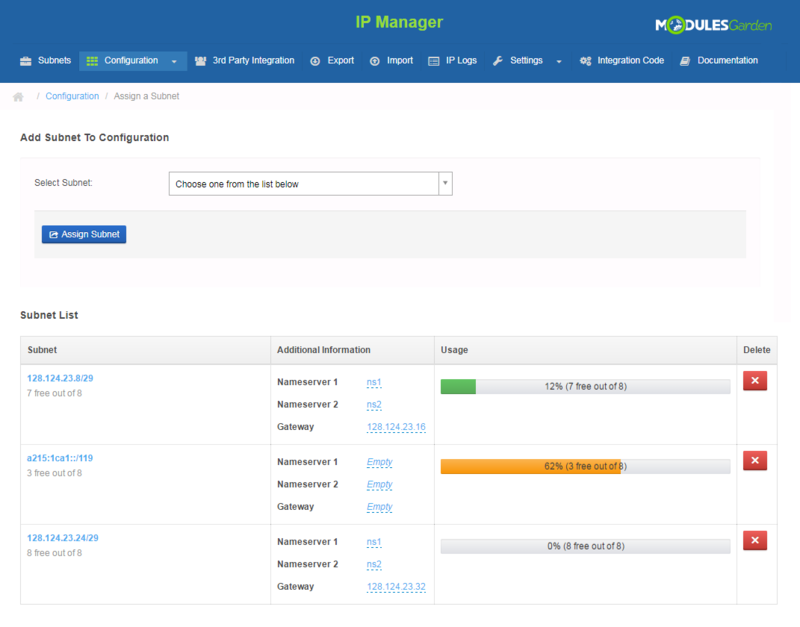 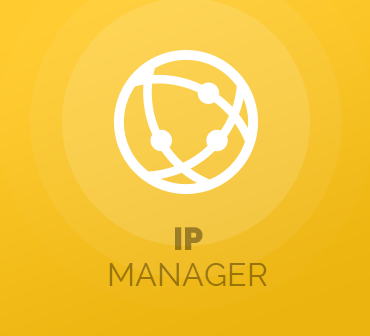 IP Manager module works nicely along with Virtuozzo & Plesk modules to auto-provision IP Addresses for Shared & VPS Hosting.